a-JAYS Three review | What Hi-Fi? The first thing you’ll notice about the a-JAYS Threes is their wide, flat cables. As well as looking cool, they mean you won’t need to spend ten minutes cursing while you untangle them every time you get them out of your pocket. The right-angled plug means they’re afforded some protection when plugged in to a pocket-dwelling portable, too. They do, however, transmit rather a lot of noise when you’re moving about. A quick straw-poll in the office drew compliments about the Threes’ fit – they aren’t too unwieldy, sitting just inside the ear canal and not protruding too far out in situ. In use there’s good news and bad news. Vocals are clear and up-front, and conveyed with ample energy and emotion. Likewise, there’s a nice, airy quality to string parts – Sibelius’ Night Ride and Sunrise, Op.55 was easy to follow, bringing up goose-bumps at all the appropriate moments. Large dynamic shifts are dispatched without trouble, too, and the Threes don’t get bogged down during complicated rhythm parts. It’s the high-frequency performance, though, that docks the Jays those two stars. Increase the volume, or play something that’s a little strident in the top-end and the Threes’ character changes from amiably musical to slightly coarse and lairy, which quickly gets tiring. You wouldn’t want to have them in your lugs for an entire London-to-Edinburgh train journey, put it that way. 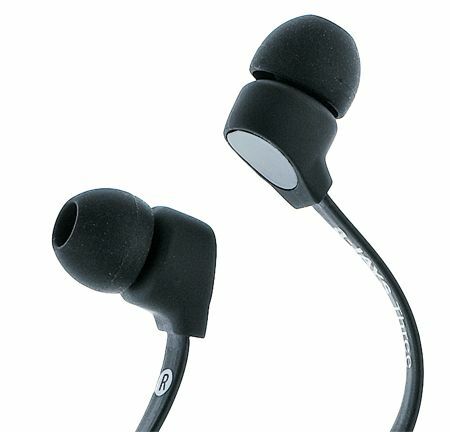 That said, though, these are far from the worst earbuds we've tested. If you rein in the volume (and don’t listen to surf music), you’ll get a punchy, entertaining sound.